With globalisation the number of independent information management providers in Australia has reduced. Unfortunately in some cases, bigger hasn’t meant better service for clients. While TIMG has evolved and acquired companies such as LitSupport to complement and enhance our existing services, our clients have always remained our core focus. This singularity of focus has set us apart and contributed to our success. Since our early beginnings, we have seen significant technological innovations that have changed how people do business. Nowadays, gigabytes of sensitive data are commonly stored on mobile devices. The paperless office is becoming a reality for many businesses. The focus is on workflow efficiencies, streamlining processes and better management of data. Central to this is the need to ensure complete security of all information, particularly privacy sensitive data. As technologies progress, so too does our vulnerability. Companies large and small are at risk from privacy breaches. Last year, Optus was found to have incurred three big data breaches affecting 300,000 customers, and leaving them vulnerable. (IT News 27 March 2015). In June, Adobe Systems Software Ireland Pty Ltd (Adobe) breached the Privacy Act 1988, following a cyber-attack that affected at least 38 million Adobe customers globally, including over 1.7 million Australians. Essentially all companies need to be aware of their responsibilities under the Privacy Act 1988 and take reasonable steps to ensure the security of private information in their care. Secure off-site storage and digital back-up of data is still the most efficient method of ensuring against loss of information, and potential security breaches. Companies large and small are coming under greater scrutiny to meet their obligations under the Privacy Act 1988, and to ensure all data remains secure. As most records need to be kept up to seven years, or longer, that’s a long to keep documents/tapes on your premises and safeguard against loss or theft. Here are ten measures you can take to minimise your risk and make information management stress-free. Set up internal privacy handling policy, procedures and processes including a Data Breach Notification Policy. Assigned roles and authority to access private information to certain key personnel, and conduct regular training. Use and disclose information: unless consent is obtained. Install adequate protection software against computer viruses. Conduct the appropriate background and reference checks for staff. 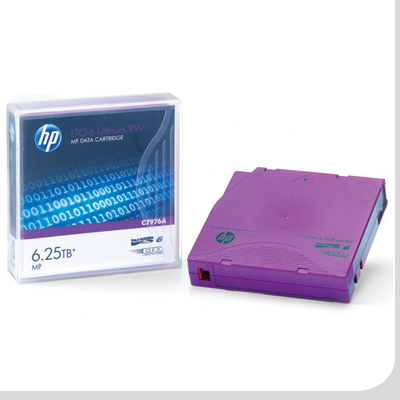 Ensure you have adequate backup of information either through data tape storage or cloud backup services. If you have a data breach, make sure everyone follows policy and protocol informing people or businesses affected, and the relevant authorities. Limit your risk by storing data off-site in secure warehouses and vaults; this will transfer your risk to a third party. Ensure adequate recording of data location. Dispose of physical or digital records securely and without the possibility to reverse the process; eg. shredding, overwriting data tapes and hard drives. Don’t rely on the delete function. Check that the third-party storage supplier meets industry standards and has appropriate accreditations. The Office of the Australian Information Commissioner has produced guidelines to help business understand and implement privacy measures. Smart businesses need to look to the future. Outsourcing time-consuming, repetitive and labour-intensive work, will allow you to reinvest in your business and deliver better services to your customers. TIMG’s Automated Data Capture Services provides this opportunity. Through the use of intelligent data capture software and quality assurance techniques, TIMG can automatically capture data from a variety of document formats and electronic forms with greater accuracy. The result is dependable data, reduced labour costs, and greater efficiency. Here’s how one of our clients in the retail sector streamlined their invoice processing system; achieving considerable cost savings and higher performance. 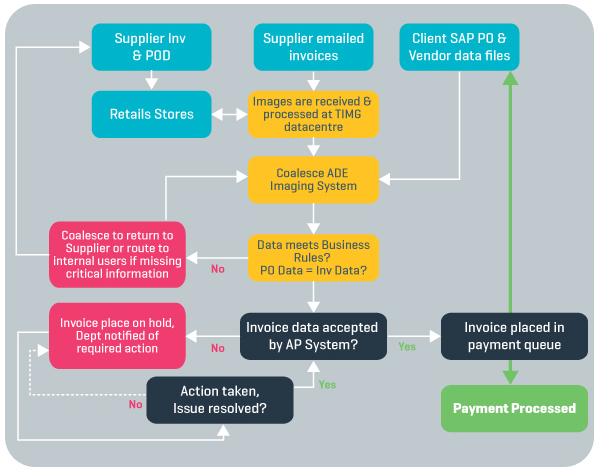 A national Australian retail chain receives daily deliveries across hundreds of stores, requiring a labour intensive process of cross checking invoices with purchases orders and goods received. Inefficiencies caused stress and additional workload for staff. To improve efficiencies, reduce errors, create a better workflow for approving and managing data exceptions and achieve considerable cost savings. Here is a diagram showing the improvement in workflow and management of records. TIMG’s Coalesce E-Docs solution delivered millions of dollars in cost savings both in time, staff resources and inaccurate payments. The overall benefit was improved workflow, security and accurate data that enabled our client to analyse, plan and shape the company’s future direction. Improved Document security and filing integrity. TIMG welcomes the opportunity to offer a complimentary review of your workflow processes and recommend areas where we can help improve your systems. State Manager ACT, Nathan Richards and his team are steadily growing their client base by adopting a holistic approach to information management and delivering exceptional service 24/7, 365 days. 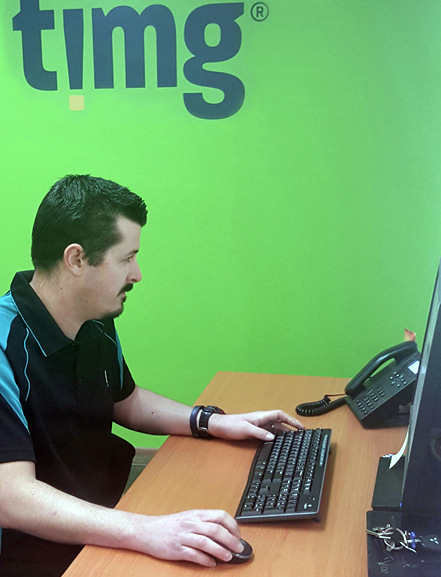 In 2008, TIMG acquired local firm National Record Managers to establish a presence in Canberra. Since then, TIMG has been chipping away in a very tough market and gaining ground across a variety of businesses and government organisations. “It’s a very competitive market. A focus on service is a strong point of differentiation for us. We take a holistic approach, looking at the performance of the whole business and working through issues. We add value, improve efficiencies, streamline processes and develop a tailored and flexible solution. We come through with our promises, making the client our prime focus.” said Nathan. 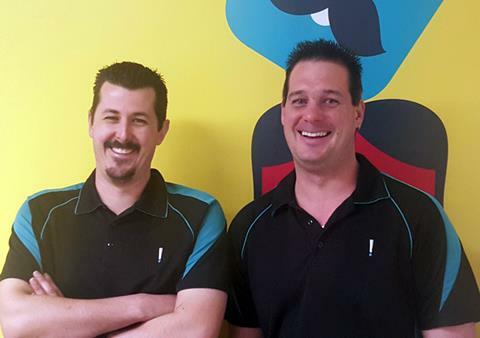 Fellow ACT team members, Paul and Troy, are dedicated Service Representatives. Both live on the outskirts of Canberra but will readily drop everything to retrieve records on public holidays, weekends and after hours. They go above and beyond, assisting clients with any queries or issues they may have with their data management. This commitment is duly recognised and appreciated by clients. Below are just some of the glowing testimonials the ACT team receive on a regular basis. Names have been withheld, as TIMG values our clients’ privacy. Law Firm- "Our SR's are extremely efficient. Whenever we make new request or changes -the response time is very fast. Federal Research Organisation - I’m new here and I have found that your track record with us has been a flawless one. Your online system is very useful. Very satisfied with your service. Large Fed Govt Dept- I’ve been using your tape backup services for seven years now and during that time I haven’t been able to fault it. The process is always smooth, tapes get picked up on time, rotations are always correct and drop offs are on point. I’m extremely happy. Territory Govt Dept - Very happy with everything. I’ve not had issues at all, your team are 100/100. I’d give you 1000 if I could. Federal Govt Dept - Paul is absolutely phenomenal, I think of him in high regard……... You store our records the way we like it and getting them back is easy because the website is easy to use. 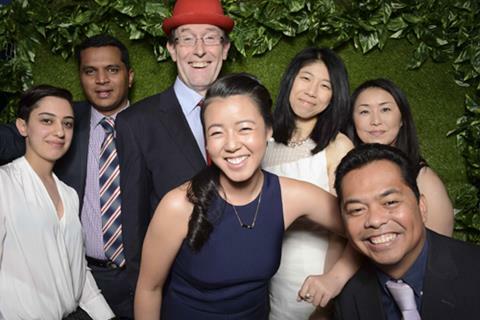 The ACT team can call on the resources of the 500-strong national group with specialist E-Business services based in Sydney. 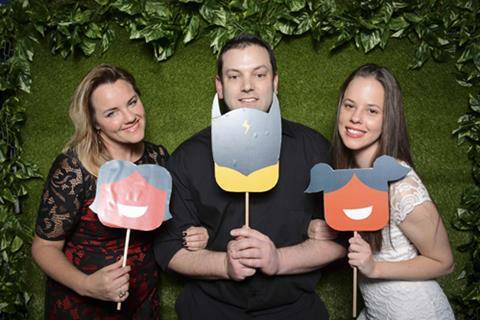 State Manager Nathan Richards is eager to connect with local firms and organisations which value exceptional service and customised solutions. 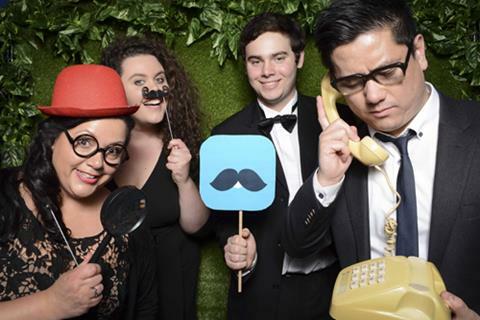 Over 500 delegates attended the RIM Professionals Australian Convention, rebranded InForum at the Melbourne Cricket Ground, earlier this month. 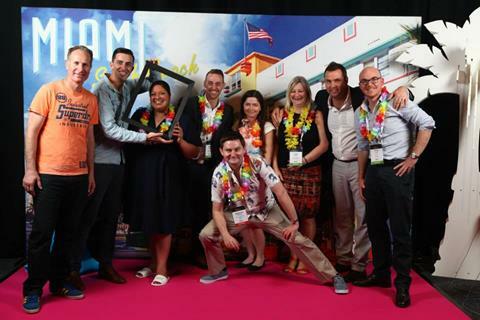 The InForum conference program, themed “Digital Dreams (not digital nightmares)”, provided a great opportunity for TIMG to assist RIMPA delegates sort through the information maze and consider digital solutions that best suited their organisations. 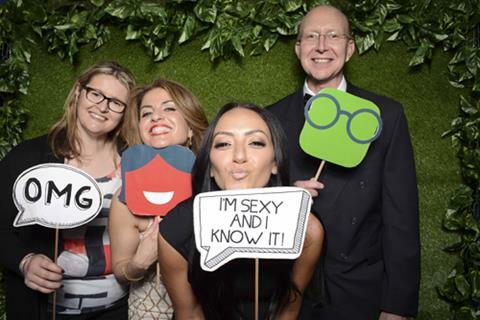 TIMG was proud to be a Silver sponsor for the event and looks forward to continuing our involvement and support. 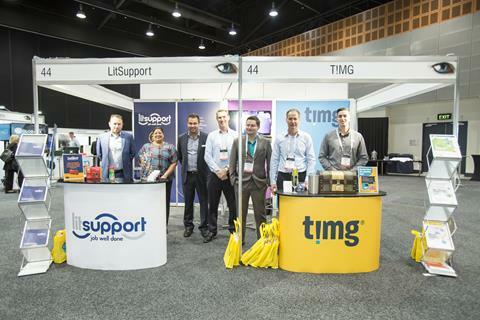 Earlier this month, TIMG & LItSupport proudly sponsored the ALPMA Legal Management Summit, at the Gold Coast Exhibition and Convention Centre. The three-day conference provided a fantastic opportunity for TIMG and LitSupport to speak to over 300 members of the legal community and gain a better understanding of their issues. For delegates the key issues focused on greater responsibilities to collect and secure data, particularly since the introduction of Verification of Information (VOIs) for the conveyancing and finance industries, and better management of records. Many legal firms are moving towards paperless offices and seeking digital solutions. 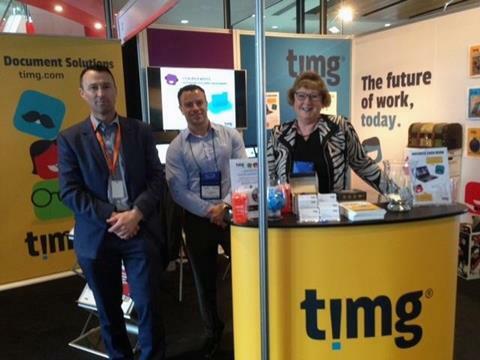 TIMG and LitSupport pooled their resources and talent to help delegates understand the benefits of streamlining their processes to achieve better efficiencies, cost savings and greater security. September 2015 marked the 15th anniversary of TIMG and we celebrated our company’s beginnings and most importantly our future. TIMG first open its doors as DataBank Technologies in 1999, in Sydney. Founder Evan Penn saw a gap in the market for secure data storage facilities. 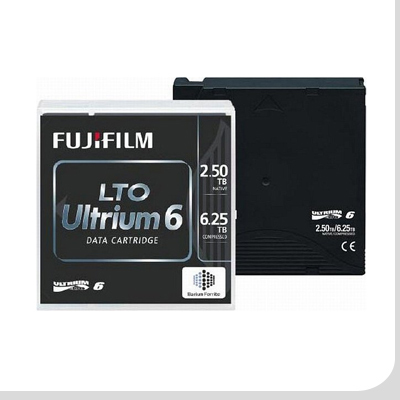 He built a successful business becoming one of the largest privately held data storage company in Australia with 30% market share in the offsite tape storage market. Millions of backup tapes were safely stored for customers, in underground vaults in every Australian capital city. The company was an attractive prospect for Freightways Ltd, a leading New Zealand provider of express package services, with a rich history dating back to 1964. In 2006, Freightways Ltd acquired DataBank, the acquisition was a good fit for both companies. Since then, we have continued to acquire companies and amalgamated our brands into the Information Management Group. Earlier this year, the company rebranded and became TIMG giving the company a competitive edge. The new TIMG logo is vibrant, fresh and fun. Most of all it embodies our vision for the future, and highlights a strong focus on our people and developing their skills to deliver exceptional service. Over the past 15 years, TIMG has gone from strength to strength acquiring businesses and products to offer clients a comprehensive information management solution. At our core is our commitment to customer service and continued innovation. We’re focused on developing solutions to improve information management, today for the future. To mark TIMG’s anniversary TIMG DabWare is giving away a WD Elements Desktop 4TB External Hard Drive valued at $200. What was the name of the original company that evolved to become TIMG? What year was it founded? Entries will close 13 October, 2015. Winners will be notified by email and announced in October’s issue of TIMG E-News. The Information gathered through the competition will be used by TIMG for marketing activities. In accordance with the Privacy Act, TIMG will ensure your information is stored securely and NOT shared with any third party. Employees and contractors of TIMG are ineligible to enter.